Diabetes is the fastest growing chronic disease in Australia with over 280 Australians diagnosed with diabetes every day and over 1.5 million Australians living with the disease. Type 2 diabetes is the most common form, and it occurs due to a combination of genetic risks and lifestyle factors including obesity and a sedentary lifestyle. A significant proportions of Australians with Type 2 diabetes do not know they have it. Type 2 diabetes is the most common form of diabetes, accounting for 85 per cent of people living with diabetes. Type 2 diabetes occurs from a genetic disposition to diabetes and lifestyle factors associated with high blood pressure, obesity or inadequate physical activity. 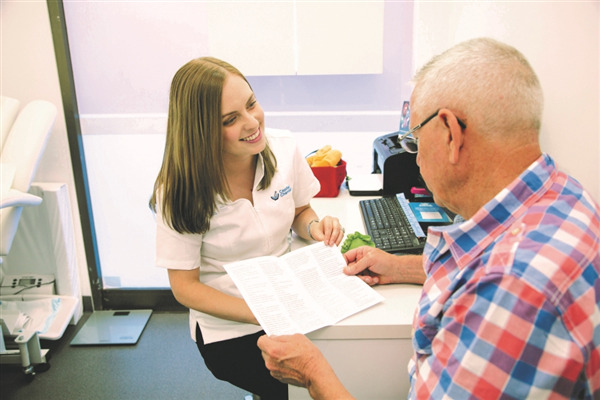 Capital Chemist can support these people in various ways, from individual in-pharmacy reviews which focus on medication management, to supplying the latest monitoring devices, self-management guidance and diabetes product-related advice. Our pharmacies are also agents for the National Diabetes Services Scheme (NDSS). Capital Chemist can also support the community with quick and easy screening tools to help identify the patients at greatest risk of developing type 2 diabetes (fees and charges may apply – ask instore for details).